Randy is a lifelong lover of the outdoors and especially camping. He likes to help the RVer save money and time. Tent camping has been, and always will be, a wonderful opportunity to enjoy the great national and state parks scattered all across America. Whether you backpack out into the wilderness or set up at a campground, a tent still serves the same purpose it did when our ancestors used animal skins as a shelter from the elements. But RV’s are not new either. The first ones were wagons used for sleeping in and storing the essentials. The Conestoga wagon was the settler’s RV of the day. There comes a time when one’s age and physical condition dictates a change in order to continue to enjoy camping outdoors. The simple fact is that when the weather is bad, there is no tent in which you can really enjoy camping. I don’t mean a few showers or a cool snap, as these can be dealt with. But severe thunderstorms and winds can cause quite a bit of discomfort for old camping aficionados as well as young ones. Camping purists frown on both motor homes and camper-trailers, of course, because they are purists. There’s one in every crowd, as the saying goes. But camping comfortably is not a sin, and in fact, it beats the hell out of a tent. It’s great to wake up without your back hurting and with no sand or ants in the bed. Everything is in its place in the drawers and cabinets and doesn’t have to be loaded up again every time you decide to go camping. 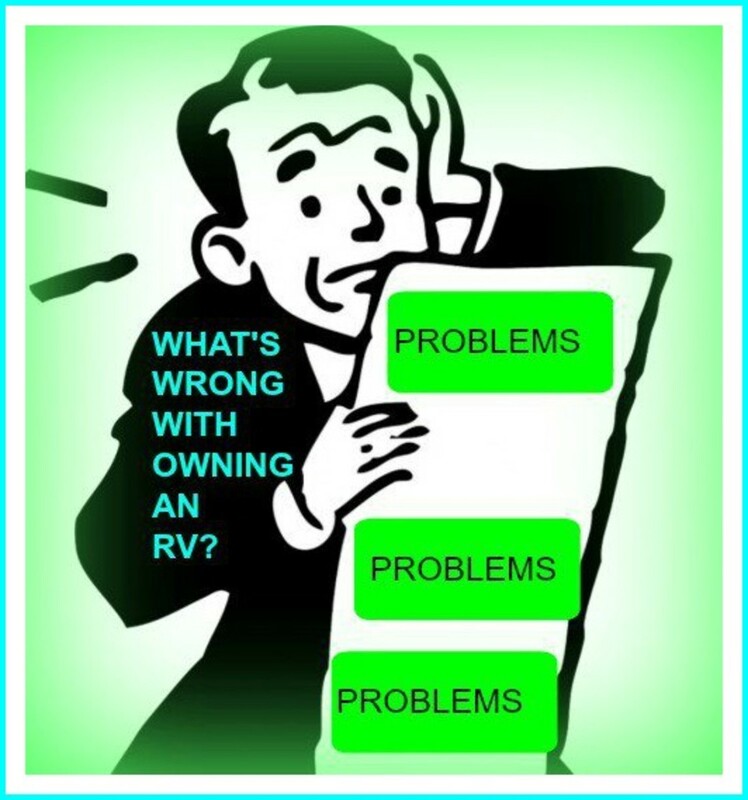 The biggest mistake most people make when purchasing a motor home or camper-trailer is buying one of the wrong size or type. This mistake can be costly as well as disappointing. 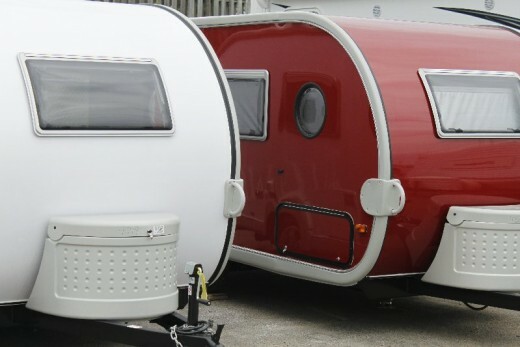 So here are a few tips for helping you decide which type and size of motor home or camper-trailer will suit your needs. In a Camper-Trailer You Don't Have to "Rough It"
Those of you who are rich can just skip over this part and buy the biggest unit you choose. The rest of us have to make wise choices in order to enjoy life, so here goes. Look at this investment as if you were buying a home. It's not the same, of course, but there are many similarities. Consider the number of people who will expect shelter at one time in the motor home or camper-trailer, just as you would consider the number of beds available in your home. Sure, it’s always crowded in any camping unit if more than two people are staying together, but this is part of the experience. So, view the particular unit with this in mind. Do not overlook used RV’s or camper-trailers. 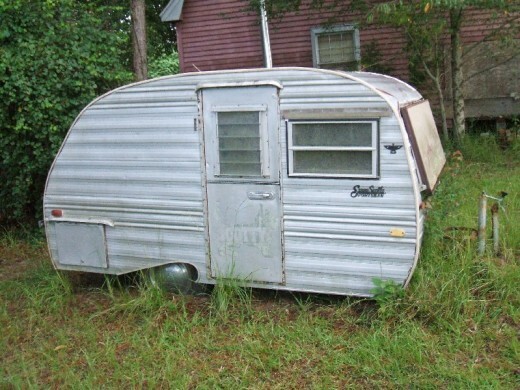 Some people buy a camper and then find out it is too big or too small and end up trading it in for another unit. The price for these “hardly used” units will often be much lower than for a similar model that is new, so look around before buying a new unit. Another consideration is operating expenses. Motor homes are notorious gas guzzlers, and large camper-trailers require a large vehicle to tow them efficiently. Anytime you tow a heavy trailer of any kind; it requires lots of fuel. The bigger the camper-trailer, the more it costs to tow it to the campground. And don’t forget storage; you have to keep the unit someplace. So unless you have a large yard, you may have to pay storage fees, to avoid the neighbors complaining or to comply with zoning laws. Repairs and maintenance can run into quite a bit of money on some motor homes or camper-trailers. Some motor homes have engines which are hard to access, which is a problem when a belt breaks or an alternator goes out. You aren't able to simply raise the hood to fix these things. Don’t forget brake repair, A/C maintenance, and the list goes on and on. All motor homes and camper-trailers require maintenance, so don’t forget to consider this before you make your decision on the unit for you. The motor home industry has come a long way since the early days of the old boxy Winnebago campers. Today, you can spend a million dollars or more on a motor home if you so desire, and stay in special motor home parks for these behemoths across America. But most of us cannot afford these beauties with their hot tubs and a tow package enabling you to pull a Porsche for gadding about. Which brings us to what could be a con, depending on you, of course: having another vehicle along is essential if you have a motor home. It is too much trouble to take the motor home into town every time you need something. So figure on driving or towing another vehicle. Unless you have driven a large vehicle before you must learn about the craft, a 38-foot motor home does not corner like the family car. The acceleration is slower, and the visibility is different also. I would suggest you test drive any prospective purchase to see how it handles and how easy it is to back up and park. Don’t forget this unit is much taller than most trucks. There have been many instances of motor home drivers tearing the canopies off of drive-thru restaurants and even a few banks. Check out the engine compartment too. Is it easy to get to the maintenance parts of the engine? This could make a huge difference if a mechanical problem presents itself on your trip. It also pays to check the availability of parts for the prospective motor home. Some use very expensive hard-to-find parts while others use standard parts found at most auto parts stores. Again, this is an important difference. There are many great motor homes to choose from, so look carefully before you buy, and you will be assured of many happy trips for you and your family. These motor homes are wonderfully supplied with all the comforts of home, and if you can afford them, they are the very best camping units available. For most of us, the camper trailer is the most convenient and economical camping unit to use when enjoying the great outdoors. These wonderful camping units come in many sizes and shapes which gives a prospective buyer a wide variety of choices to decide from. Like motor homes, they can be very expensive, but most are affordable because of the different sizes made. You can tow a small camper with the family car or pick-up, while larger camper-trailers, such as Airstream and Avion models, require a heavier, stronger vehicle in order to maintain safe driving practices. Being able to use your existing vehicle is a good selling point for many people as they do not need the added expense of buying a large truck. Since there is no engine or transmission in a camper trailer, you do not have to worry about maintaining an engine. There are tires and brakes to maintain, but this is true of any road unit. Another advantage camper-trailers have over motor homes is that if a camper-trailer can't move because of a problem, for example, a flat tire or bad wheel bearing, you can drop the unit and travel without it. For many campers, this is the deciding point when making the final decision. 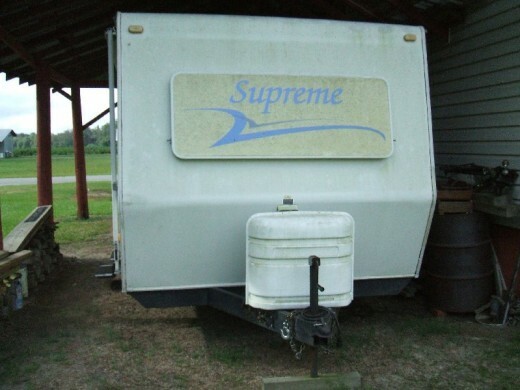 Finally, structural maintenance tends to be less expensive on camper trailers than on motor homes. 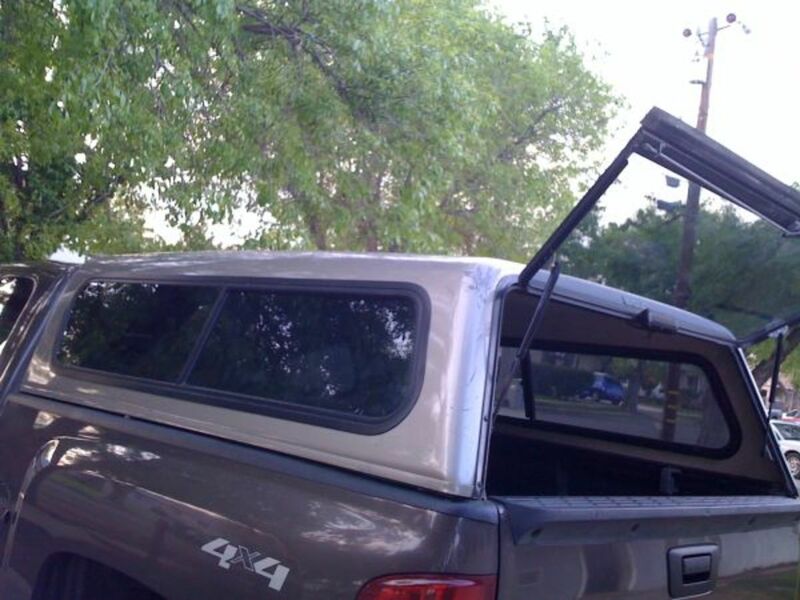 Windows, doors, and other parts can be found easier for camper-trailers, as a rule. Even the furniture is easier to replace on a camper-trailer, as most motor-home furniture is custom made for the particular unit. So as far as maintenance and repairs are concerned, the camper-trailer seems to suit the needs of the majority of us campers. Although I haven’t listed all the differences between motor homes and camper trailers, I hope this article gives you insight into which type of camping unit would suit you the best. You may have reasons of your own for your choice not mentioned here. Feel free to comment at the bottom of the article. Happy camping! 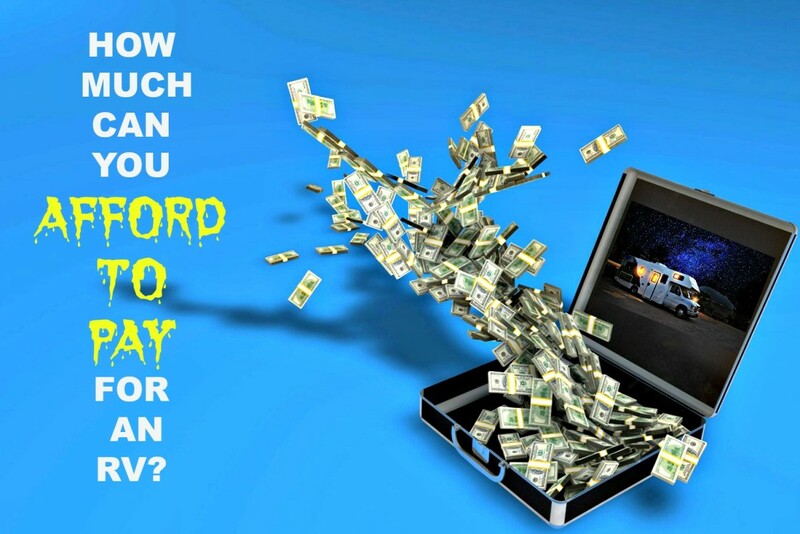 How Much Can You Afford to Pay for an RV? Two very important considerations not mentioned. A trailer does not have to have insurance on it but both the towed vehicle and the motor home must have insurance on them. The motor home has the advantage of passengers being able to sleep as the vehicle goes down the road but most states if not all will not allow a passenger to ride in a towed vehicle. You're very welcome, LOP. Good luck with your choice of either trailer or Motorhome! Thank you, Randy. Those are good points to consider. 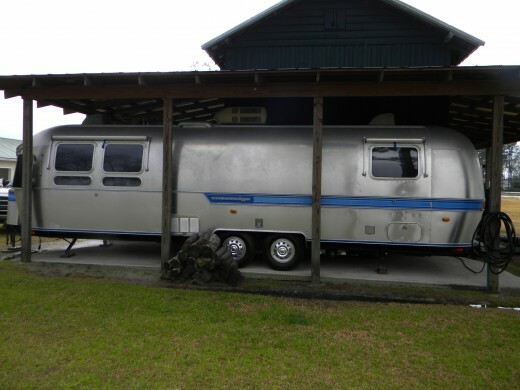 @LoveOurPlanet- A 5th wheel is normally easier to tow than a bumper hitch travel trailer. The big truck should get better gas mileage than a large motorhome also. Another advantage of a tow behind RV is having the option to unhook from it to go get repair parts or pull it with something else if you have motor trouble on the truck. A tow behind also allows you to use the truck for shopping, sightseeing, etc. after reaching the camping spot without having to drive a motorhome everywhere you want to go. Thanks for the hub. I'm wondering what the long-term cost difference is between a motorhome towing a dingy, and a big truck towing a travel trailer or 5th wheel. If you have any insight or articles about this, would love to know. Ain't it the truth Gus! I plan on doing just that in the next few weeks. Thanks! What? I thought Joseph and Mary were Jewish! That would make you Jesus's grandmother. Sacrilege! Thumbs up, Randy! Great article. This should help potential buyers make a decision - you've offered food for thought. We're headed to Lakeview - Shannon and Jade are playing Mary and Joseph, and Cameron is baby Jesus. I told Beth we might stop by afterwards, if it's not too late.